The fact that I love cheese-flavored-items is no secret, at all. 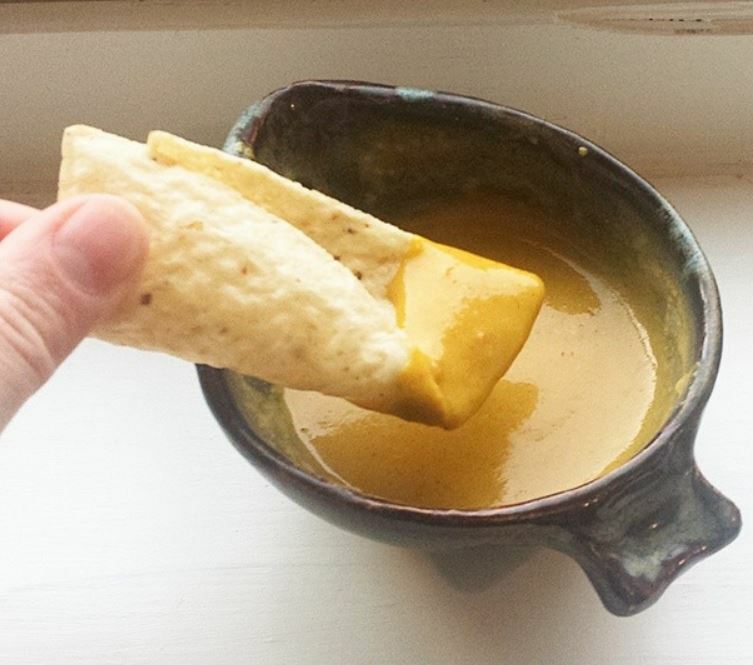 I have a major problem with this cheese dip, though. I keep eating it all before I get any really good pictures of it. A few weeks ago I wanted a new macaroni and cheese recipe. Earth Balance had just announced their boxed mac and cheese coming out over the summer, and I was jealous. I wanted MAC AND CHEESE NOW. I have been eating so much soy yogurt and thought that maybe it would be awesome in cheese sauce. Because what isn’t yogurt awesome in? I threw everything in the blender. And accidentally made an amazing cheese sauce. And, while not really that great with noodles, with chips? Amazing. And. With tofu scramble. (That’s what’s on the left side down there. Yeah. Do that, please. 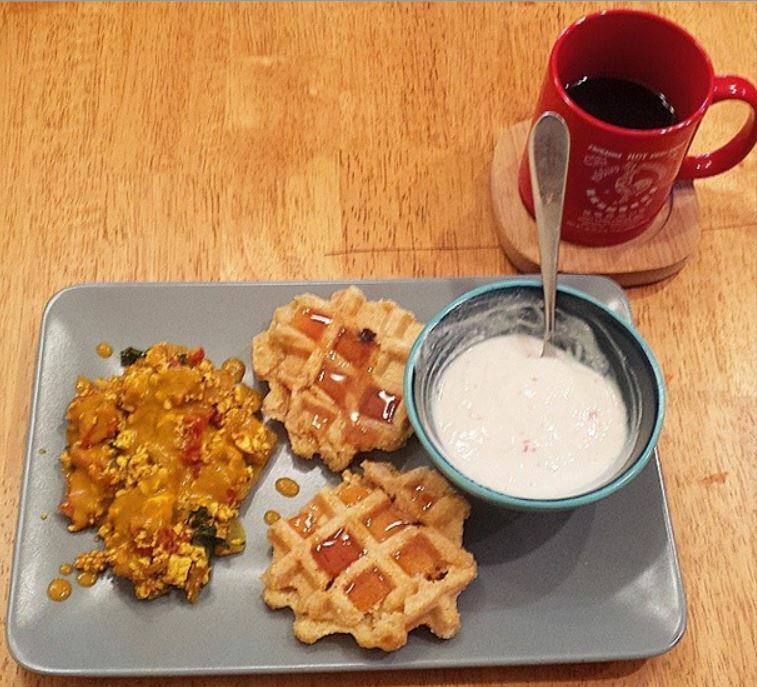 Also do everything else on the plate – waffles here, tofu scramble here, yogurt here, coffee – costco :)). Or refried beans. Or steamed kale. Or potatoes. < Oh man. I need potatoes now. And, I apologize for the lack of actual pictures. Because it’s that good. And I just can’t stop eating it in time to take proper pictures. Sorry. < Not really. Let boil for 10 - 15 minutes until mixture thickens. Stir to the bottom frequently to keep it from sticking. Serve warm. Store leftovers in fridge. Great with: chips as a dip, over tofu scramble, with steamed kale, with refried beans, or over potatoes.